"-The personalities of the guides are awesome!!! 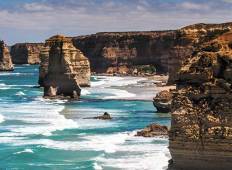 -The tour was mostly walking through..."
"Great to see regions of Victoria I had never visited before. Very easy driving days..."
"It was simply incredible. I had a great time and learned so much about the history..."
"I have just done the 4 day package with the team. All of them are fantastic people,..."
"⭐️⭐️⭐️⭐️⭐️ My week with welcome to travel! What an amazing week!..."